Hours : 11:00 a.m. – 7:00 p.m. Closed Sundays and Holidays. Event: Each Saturday during the exhibition ( 3, 10 and 17 Feb) will have related events. The program to be announced shortly after. What do we need to do for design to be unconfined by global economies and information architecture? For it to exceed patterns of expression and solution? For it to think, and move for itself? Graphic design in Japan was socially established in the professional area of ‘design’ during the 20th century, making high quality contributions with a unique aesthetic to the development of industry and culture. Amidst globalization and innovation in technologies at the end of the 20th century however, the conventional framework of graphic design in Japan and its relation to society continues to be transformed. What directions will graphic design in Japan continue to take in the future? Or rather, what possibilities will unfold? To move onward we need to stretch one leg forward with our other planted firmly on the ground. To think about the future potential of design, we also need to consider the future, the past, global and local at the same time. 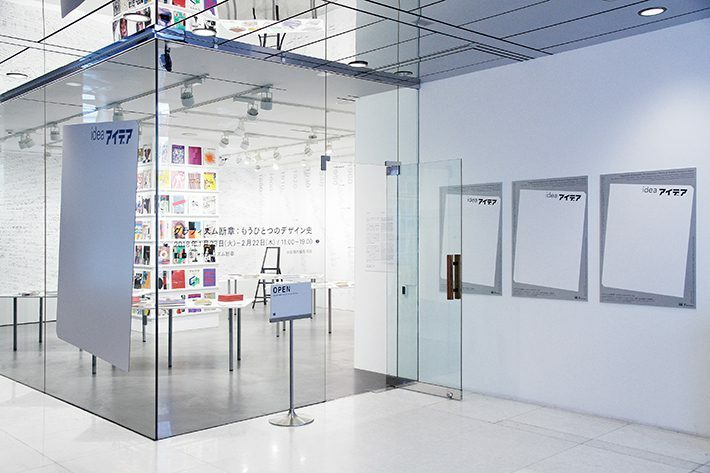 This exhibition is based on IDEA (published by Seibundo Shinkosha), a magazine that has followed the development of graphic design both in Japan and internationally for over half a century since its launch in 1953. 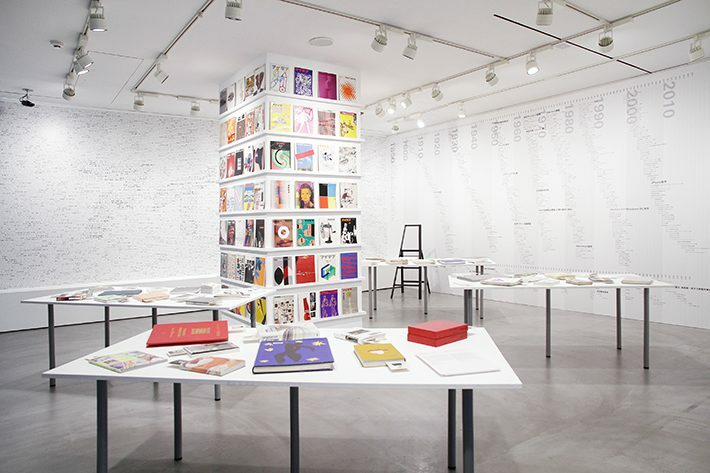 Visitors can expect to see an experiment in the re-interpretation of design history and the restructuring of the field by young, up-and-coming graphic designers. 13 designers attempt to present their research processes for re-interpretations of Japanese graphic design history (Room A); a library room offers insights into the future of graphic design from 47 groups of designers across the country (Room C), and a third room showcases an archive of all the back numbers and related publications of IDEA magazine (Room B). Join attendees in contemplation of the history, present and future of graphic design through this futuristic magazine space. There are a number of arguments about how design history should be described. That this history should be organized according to leading designers and their communities active during the modernism art movement or the period of postwar economic growth at the beginning of the 20th century, with design examples of social events like the Olympics or the International Expo—this discussion is the only single history that has been reproduced and shared in various media throughout Japan. History should be open to us all as a single resource, to be relativized and reinterpreted in wider geographic, chronological and political terms. 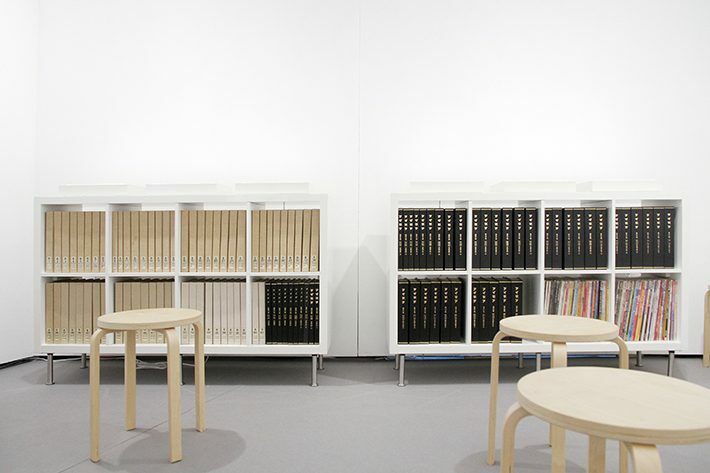 In this corner we reveal the progressive research process of 13 spirited graphic designers and their pragmatic opinions, and see how this connects to 20th century Japanese design in a new context. 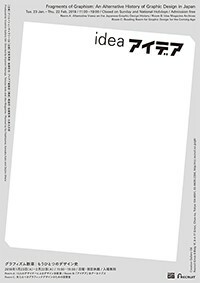 IDEA (published by Seibundo Shinkosha) was launched in 1953 to succeed Koukokukai, the only advertisement-related national magazine published pre-war (1926-1941). The editor-in-chief at the beginning was Takashi Miyayama, who was also the editor-in-chief of Koukokukai when it was suspended; Hiroshi Oochi was the art director, Yuusaku Kamekura did the logo design. For over 60 years since its launch, IDEA —with various editors-in-chief in its history—has continued to showcase the current state of graphic design both in Japan and overseas (as a quarterly magazine since 2014). In this room we showcase a collection of all back numbers available for perusal. The area of design created by the large transformations of the modern day have been made into databases in an organized fashion, and has lost it’s original principals and mobility with developments in industry. The field of design, which has undergone large transformations in modern times, has been neatly organized into databases, loosing it’s original principals and mobility with industrial developments. Globalization and technological innovation have brought changes to traditional work areas and value frameworks—the graphic design process as we know it has withdrawn to the world of computing. How will graphic design be updated? How will it perceive and correct human problems? 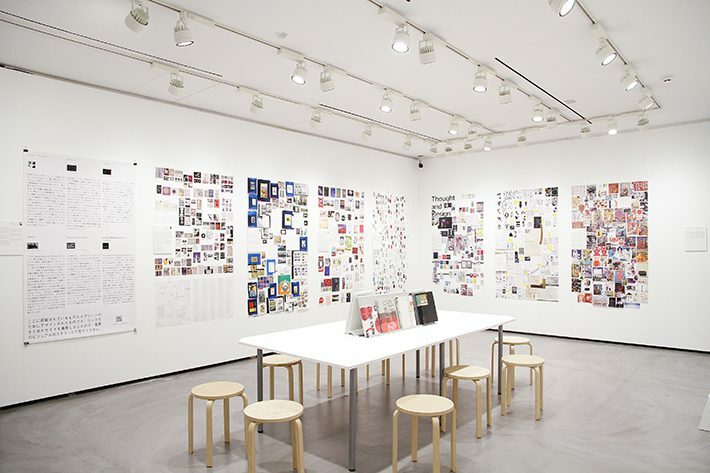 This corner introduces 47 unique designers and groups in the spotlight, each having been requested to select five books based on their own opinions. Coming to 47 items in total, one book from each group has been selected and made available for perusal in this exhibition.